The Futura 28; from Deuter is a rucksack that is perfect for day hikes and has all the features you may require on your adventure into the great outdoors! 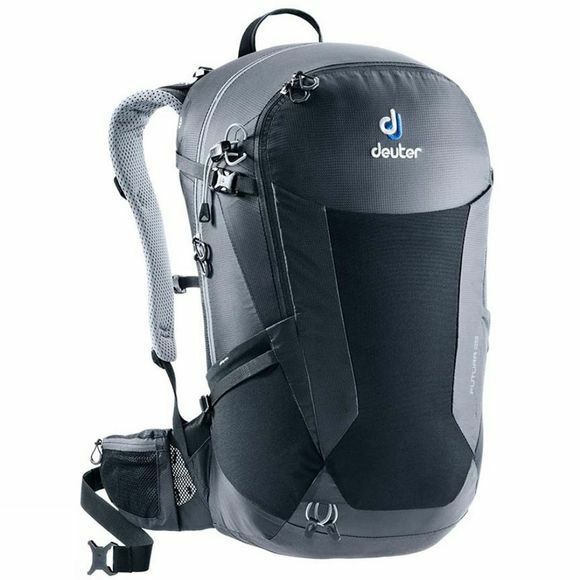 It has Deuter's Air Flexlite Back System, which allows the rucksack to form to your shoulders and back with the perforated foam while the mesh will wick moisture away and keep these areas dry. The load adjustor and sternum straps allow for the rucksack to be in and stay in the correct position, so you are comfortable for as long as you are exploring! The rucksack is also Hydration System compatible meaning you can attach a hydration bladder for ease of access when you may require a drink outdoors. The rucksack also has a separate bottom compartment where you could store a lightweight softshell jacket to free up space in the main compartment for other key items you may require to take with you such as a stove or food for the journey. No matter the conditions, this rucksack will perform when needed having a detachable rain cover to make sure all your items are protected from any unpredictable weather!